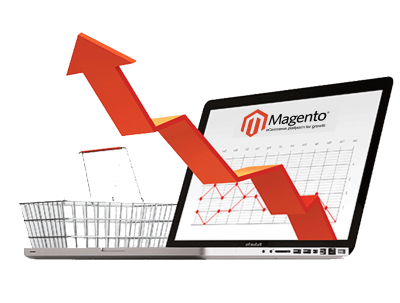 Magento Development Open Source eCommerce Solution provides opportunities to grow, handle and secure the enterprises and businesses by implementation, maintenance, updating and advancement of this not-so-magical interface that does magics. In fact, it is the ultimate response to all the hiccups and issues a small to medium shop owner or an entrepreneur may face in the local or worldwide market. In the ever growing and expanding trading world, the need to empower the merchants with complete control of their eCommerce merchandize is but obvious. Magento is the answer to this demand. It is the Open Source eCommerce solution that administers the merchandizing and content management fully through the proprietor of the business, small or big. The new, young, energetic and futuristic lot of merchants is keenly interested in materializing their very fresh, untouched or never-thought-before plans and dreams. They are in need of fast and effective marketing tools along with eCommerce setups and software that could enable them to climb, scale and widen within the merchandizing industry. Magento Open Source eCommerce solution is designed to achieve their goals. Magento development possesses’ different features that allow creating Mobile Application or a Website complements your online existence. It is one of the flexible platforms of E-commerce which team BrandCrock GmbH as a Magento development agency use to engage and create all those mobile E-commerce applications and websites E-commerce applications to provide functionalities which your company needs to grow your online shopping sales . Magento shows the way towards solutions of eCommerce problems via flexibility and scalability as land marks. Magento allows its user to create such modalities that lead to a sure success and achievement. The business size is not a troubling factor at all and the size of the merchandise does not matter; it is the Magento that takes care of such issues. Desktop, laptop or your mobile, it works globally through cyberspace in this highly competitive and digital world of business. Learn more about Magento plugin development. At BrandCrock GmbH a Magento development Agency from Munich we accompany you in every project development phase. As your development partner we can take over the following tasks for you. Our UX /UI experts and designers develop concepts and shop designs that are optimally displayed on every device, are fully responsive, mobile and tablet ready for your success. Header Tags Optimization for all important pages. URL Optimization. (SEO Friendly ). Image Analysis and Optimization of Alt and Title tags. Optimization of internal Navigation /linking structure and of external Links. Website URL Redirection and Solution for all error suggested by Google webmaster. Optimized XML Site Map Creation for Google. What services do you offer for Magento? Do you have Magento certification?